Asking this question, even in a roomful of acupuncturists, could lead to a number of explanations of varying complexity. In fact the literal definition of acupuncture is beautifully simple. Its a combination of words. Acu, meaning sharp, and puncture meaning, well to puncture! It is just that. Acupuncture is a therapy, a method of treating and/or preventing ill health. There are lots of therapies for treating ill health for example pharmacology, the treatment of patients using drugs. Acupuncture therapy uses very fine (human hair width) needles, placed in the body at specific points. The reason it gets complicated is that the word acupuncture has been broadened over the years to describe the much wider theoretical basis in which the “therapy” sits. This is confusing because there are a lot of different types of acupuncture. Chinese, Japanese, auricular are just some of the styles of acupuncture currently practised in the uk, all using needles but each approaching treatment from a different theoretical framework. Whilst styles vary, acupuncture in the UK falls broadly into two categories, Traditional and Medical. All acupuncture has its origin in Traditional Chinese Medicine which traces its history back over 2,000 years (click here for a more detailed post on the history of acupuncture) Medicine in these early days was primitive and drew many of its ideas from the environment, observation and heightened self awareness of humans before our senses were numbed by modern life! The guiding principle of traditional acupuncture is that the function of our body is governed by Qi (pronounced chee). Exact translations of the word Qi are complex but it is general held to mean energy. This energy passes round and through the body in channels. In health, the flow is smooth. In ill health the flow is disrupted. Acupuncture needles inserted at specific points in the body can manipulate Qi and restore or preserve the normal flow of energy. The traditional view of health enjoyed predominance in eastern culture for 100’s of years but things started to change with the growth of western medicine and science in the late 1800s. Scientific research into traditional medicine increased and in China hospitals began to offer both conventional and traditional medicine treatments alongside each other. Acupuncture has existed in the west for a number of centuries but it really started to take off in the 1970s. In doing so it drew the attention of medical practitioners who could see the benefit of the treatment but could not consolidate this with the traditional concepts. From here the practise of medical acupuncture started to develop. Medical acupuncture uses the same needles (often in the same places) as traditional acupuncture but bases treatment on current knowledge of anatomy, physiology and pathology and adheres to the principles of evidence based medicine. 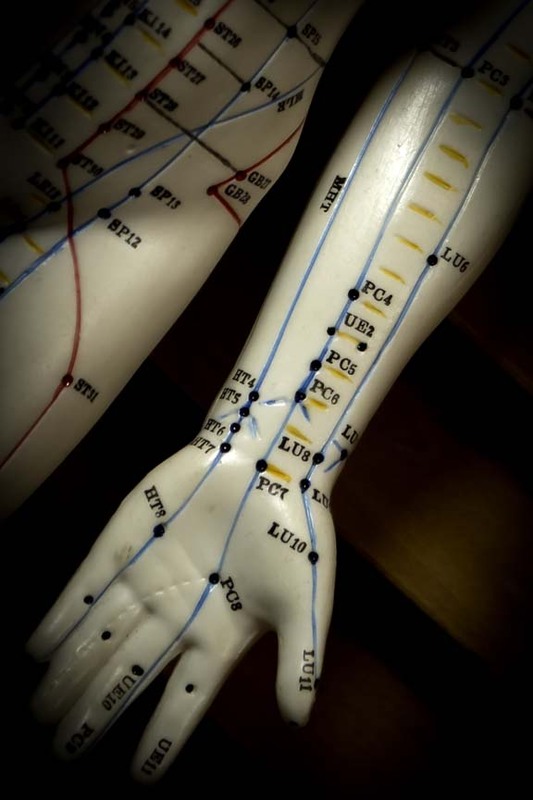 Perhaps most crucially in differentiating practitioners, medical acupuncture does not apply traditional theories. This question is subject to much professional debate. Comparisons between medical and traditional acupuncture relate mostly to length and quality of training and approaches to practise. These arguments risk two things. Firstly, compartmentalising practitioners into one camp or another is misleading. Most traditional acupuncturists for example have studied scientific research extensively and many have the deepest respect for its findings. Secondly, focusing on having the superior professional footing misses one of the fundamental points of traditional acupuncture entirely (pun intended). A strength of acupuncture is that historically, when new discoveries are made, they’re simply added to the knowledge base. Nothing is removed, new theory does not replace old theory, they sit along side one another as different choices or approaches. At first this may seem odd or alien but what it does is gives a greater variety of tools with which to practise. The modern developments of medical or scientific acupuncture that have emerged as a result of research rightly belong alongside all of the accumulative knowledge to inform best clinical practise. Accepting medical acupuncture’s place, dismissing traditional theory over simplifies it, limits practise and fails to acknowledge the limitations of research. In spite of the absolute brilliance of science, the scope of what it has yet to discover far outweighs what is currently known. You only need look as far as the field of migraine research to see that the very best knowledge humans can bring to bear on the subject has still failed to find even a definitive cause, let alone a cure. Evidence based acupuncture emerged from traditional theory. The fact that some studies have offered scientific evidence does not render theory it has yet to fathom as irrelevant. Acupuncture research is relatively young and fraught with difficulties. Until it has navigated these successfully traditional theory, developed from years of clinical practise, will continue to be a valid treatment option. Tony’s approach to acupuncture is integrative, considering both Western and Traditional approaches to achieve the best possible therapeutic outcome. His love of the classics and eastern culture is balanced with a keen scientific mind having graduated his BSc with first class honours. He belongs to both the British Acupuncture Council and the British Medical Acupuncture Society and spent five years lecturing on the scientific research stream to acupuncture degree students. Can I donate blood if I’ve had acupuncture? These fact sheets are all produced by the British Acupuncture Council and can be accessed via their website or by clicking the links below.